In recognition of the importance of a nation-wide record for PCI, NCVD-PCI registry was introduced and the first report was published in 2009, which covered comprehensive information including patient characteristics, lesion, procedural details and outcome. 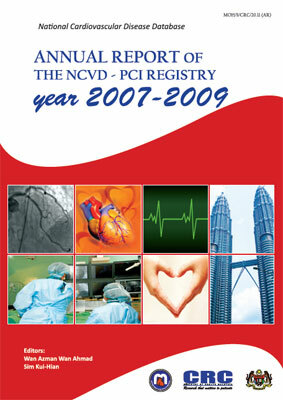 As a continuation of their sincere effort, the National Cardiovascular Disease Database team has now published the PCI registry report for the year 2007 to 2009. The current data provides more comprehensive information regarding the practice of PCI in Malaysia. It will undoubtedly contribute in future planning and funding of cardiac care services. I would like to express my appreciation to the National Cardiovascular Disease Database team for the production and publication of the PCI registry report 2007-2009. I would like to thank the Clinical Research Centre, National Institute of Health, Malaysia and the National Heart Association of Malaysia for co-ordinating and supporting this registry. I hope this report will help to improve the over-all cardiac service and research in Malaysia.